VietNamNet Bridge - In recent years, wild elephants have been increasingly hunted, while their natural forest habitat has diminished in size. As it has become more difficult to find food, the animals have become more aggressive. According to the Dak Lak provincial Elephant Conservation Center, there are five groups of elephants living in the province, with 60-70 in each group. In Ea Sup district alone, there is one group of 30-34, while in Buon Don district, there are four groups with 30-36 elephants each. A survey conducted by the center found that the number of elephant groups in Dak Lak has decreased. Problems that threaten the sustainability of the elephants have also been identified, including an imbalance in the age structure and the ratio of male/female elephants. The overwhelming majority of the elephants are old, while there are few young and mature individuals and more females than males. The factors will make it difficult to implement an elephant protection and conservation project. Also according to the Dak Lak Elephant Conservation Center, from June 2012 to now, more than 80 waves of elephants moving from the forests to agriculture & forestry production areas in the districts of Buon Don, Cu Mgar and Ea Sup. In 2016 alone, wild elephants have been seen appearing 25 times in residential quarters and production areas, damaging crops and tents set up by local people and enterprises. In Buon Don district, wild elephants attacked and killed one tamed elephant who was looking for food in YorkDon National Park, and damaged 10 hectares of crops grown by Drang Phoc Hamlet residents, causing VND284 million in damages. In Cu Mgar district, wild elephants flocked to Ea Kiet commune to seek food, andvdamaged bananas and cassava. One elephant fell into a well and drowned on their way to look for food. 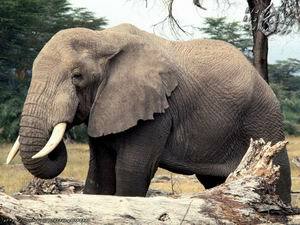 In Ea Sup district, the group of 34 elephants damaged large areas of crops and injured one man. There are many reasons behind the increased conflict between elephants and people. However, the major reason is the loss natural forests which has affected the natural habitat of elephants. An official of the DakLak Elephant Conservation Center attributes this to free migration, deforestation and land encroachment. Enterprises and local farmers grow rice, maize and bananas, the food elephants like, in areas where wild elephants once lived. Cong An Nhan Dan cited a report from the General Department of Forestry as saying that the wild elephant population in Vietnam had fallen by 95 percent in the last 40 years (1975-2015). WWF Vietnam and YokDon National Park have pledged to embark on a 2016-2020 emergency action plan to protect Yok Don wild elephants.